Chemical Guys is the Leader in Auto Detailing,Car Care,Car Wash Chemicals Auto Reconditioning, Detailing Training,Equipment & Tools,Business Strat-Up and support. Chemical Guys offers a large variety of car wash chemical,mobile detailing products and accessories,microfiber towels,detailing tools,equipment,training and support for all of your auto detailing,mobile detailing,car wash or auto spa needs.Chemical Guys offers the highest quality waxes,glazes,paint sealants,compounds,polishes,protestants and appearance products at any price without the hype of packaging. Simply the best quality products and service direct to you. Tested and used by professional OEM manufacturers,automakers,detainees,car collectors and enthusiast alike, Chemical Guys products are manufactured to the highest quality standards. 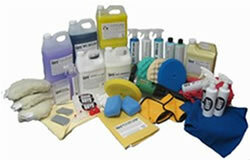 Chemical Guys also offers various auto detailing products, business start-up and product support. We also provide detailing seminar on product update and business start-up training courses. Chemical Guys is your ONE STOP SHOP for all of your detailing needs! Looking to start a business? Chemical Guys sells everything Factory Direct so you save money and GET THE RIGHT ADVICE TO HELP YOU GET STARTED AUTO DETAILING BUSINESS. If you starting a detailing or car wash business,looking to add new services to increase your income or expand an existing business or simply considering a new and extremely profitable career in the car care field,Chemical Guys is your ONE STOP factory direct shop for products and hands on detail training, auto detailing seminars,products update & training courses and support.